The Railway pub is a significant asset for our community, yet this great local pub has sadly been shuttered for years. As local residents we know only too well the value of these premises, yet we also experience first-hand its current negative effect on our area. Star Pubs have claimed ''a lot of interest in the pub'', yet it remains derelict. As this property is now in its third year of shuttered dereliction, we request that Star Pubs incentivise its take-up to encourage rapid return to serviceable use. As Star Pubs own successful properties in the immediate area, it seems reasonable to compare rental incomes from both comparable properties; The Crofters Arms (Grappa Italia) on Bolton Road and The Royal Oak (Rokas) on Bradshaw Brow. The rental price for both of these successful properties is below the current asking price for The Railway, a derelict site. This pub has also seen two failures in recent years. Further, nearby sites have also seen pub closures. The Volunteer, at the other end of Bromley Cross Road, failed as a pub and then as the Green Bengal Restaurant. It is now a Sainsbury's. 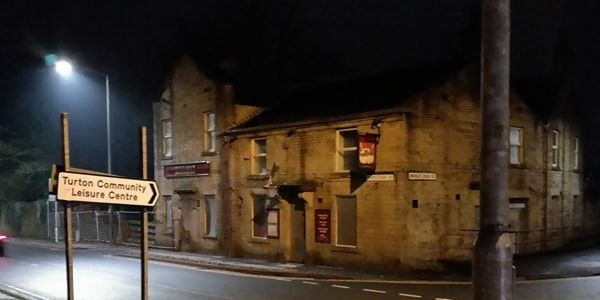 The Dunscar Arms on Darwen Road is now housing. It seems unrealistic to hold out for high rental in an area blighted by economic decline. While this property is in need of refurbishment, they currently request the ingoing minimum of £13,500 with a rent of £37,250 every year. We therefore request, in order to incentivise and accelerate the successful uptake of this property, that Star Pubs reduce the initial rent by a sum of £10,000 for the first two to three years - an effective discount of just under 20%. While we have no objection to them charging a profitable sum for the rental of a successful business, their current strategy is failing both their business and our area. We therefore urge Star Pubs Managing Director Lawson Mountstevens to prioritise the uptake of this much loved community asset with the rent incentive outlined above.